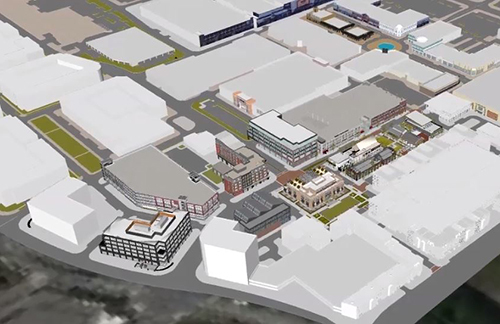 Easton Town Center is undergoing a significant expansion that will feature local and national retailers, breweries, restaurants, entertainment venues, hotels and public event space. Easton Town Center is a 1,300-acre mixed-use development in northeast Columbus, Ohio. The expansion will exceed $500 million of development over the next four years. The Georgetown Company is co-developing the project alongside Steiner + Associates and L Brands. Construction is already underway on infrastructure, parking, Merchants Row, The Yard and Urban Hearth. The Yard will serve as a public green space for live music and entertainment. Urban Hearth is an industrial building that has been architecturally deconstructed to create a social space with breweries and restaurants. A Restoration Hardware gallery will anchor the expansion. The three-story, 40,000-square-foot building is expected to open in 2019.